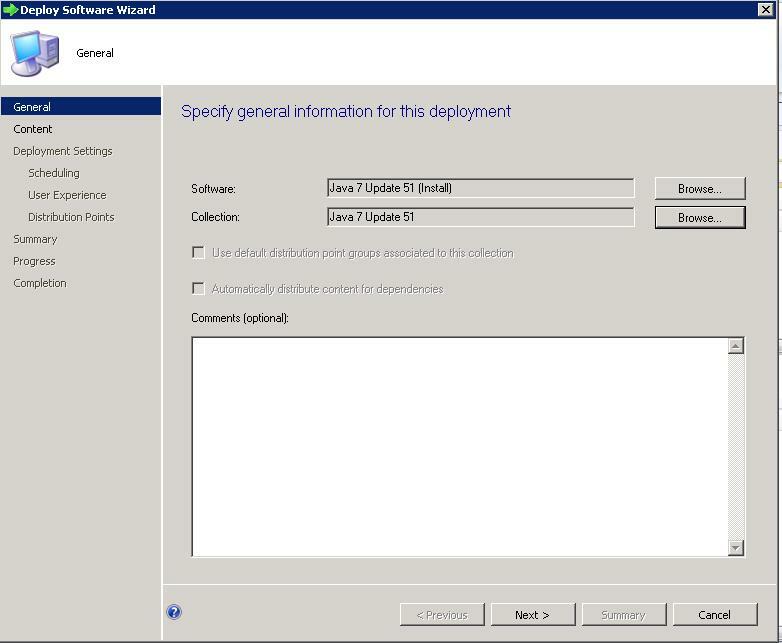 This post includes the steps to create SCCM Package and collection for software deployment using SCCM 2012. 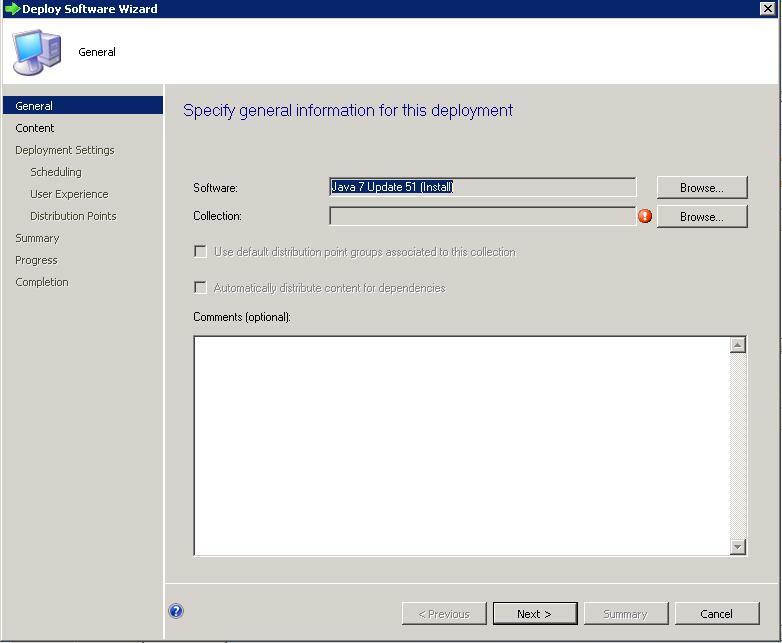 In the Configuration Manager Console window, click Software Distribution in the bottom of left side window. 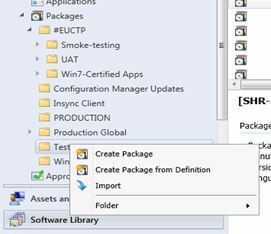 Expand the application management and then Right-click Packages ->Create Package. 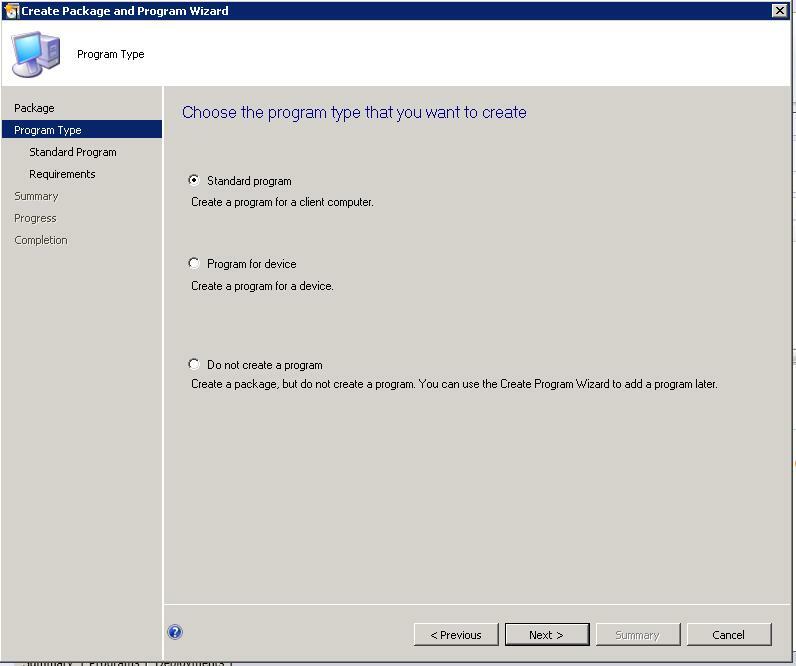 In the Program Information dialog box, Choose Standard program and click next. Run: Specifies the mode in which the program will run on client computers. 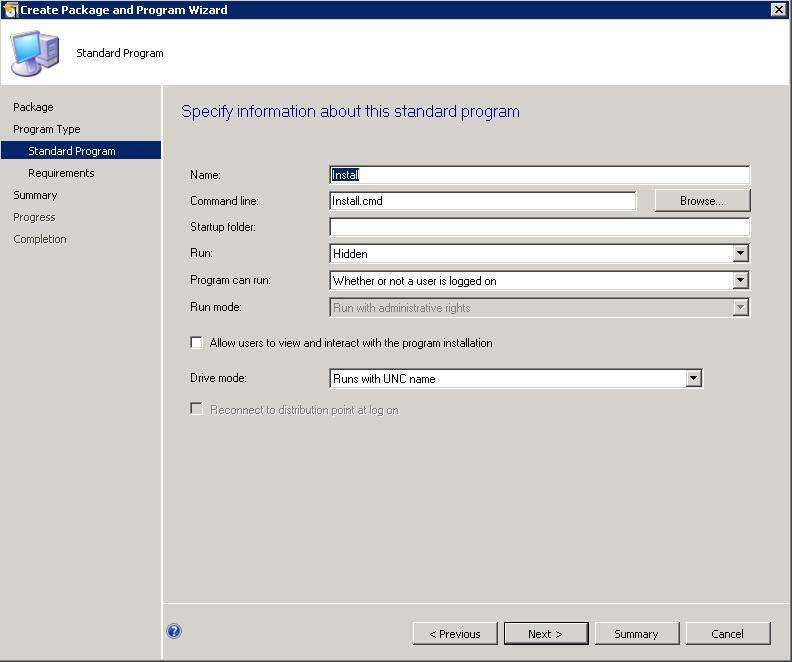 Program can run: Specify whether the program can run only when a user is logged on, run only when no user is logged on, or run regardless of whether a user is logged on to the client computer and Click Next. 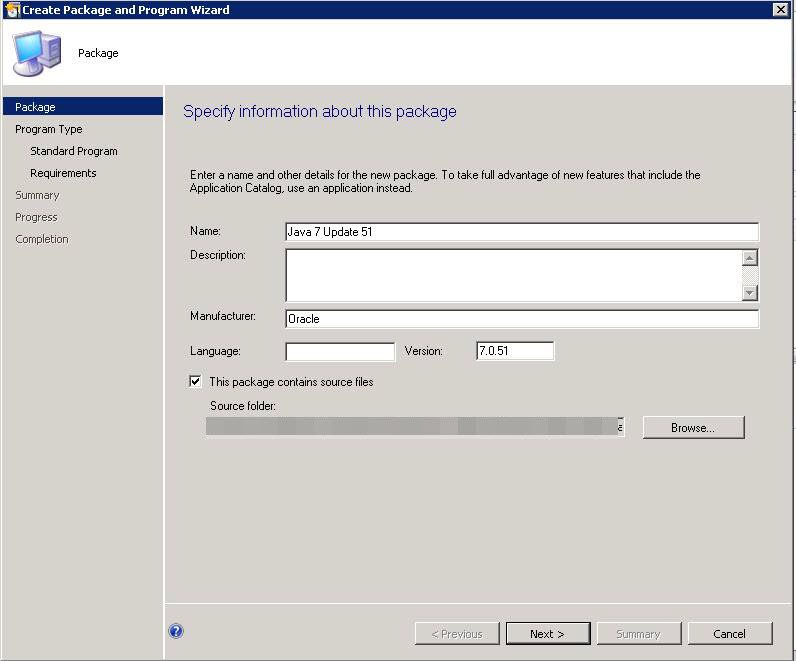 Run another program first – You can use this setting to identify a package and program that will be run before this package and program will be run. 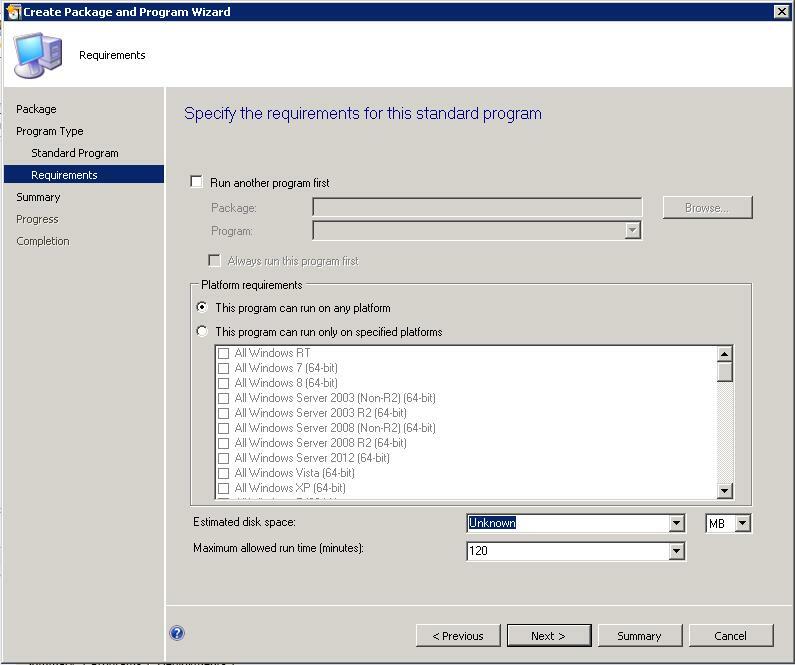 Estimated disk space: Specify the amount of disk space that the software program requires to be able to run on the computer. 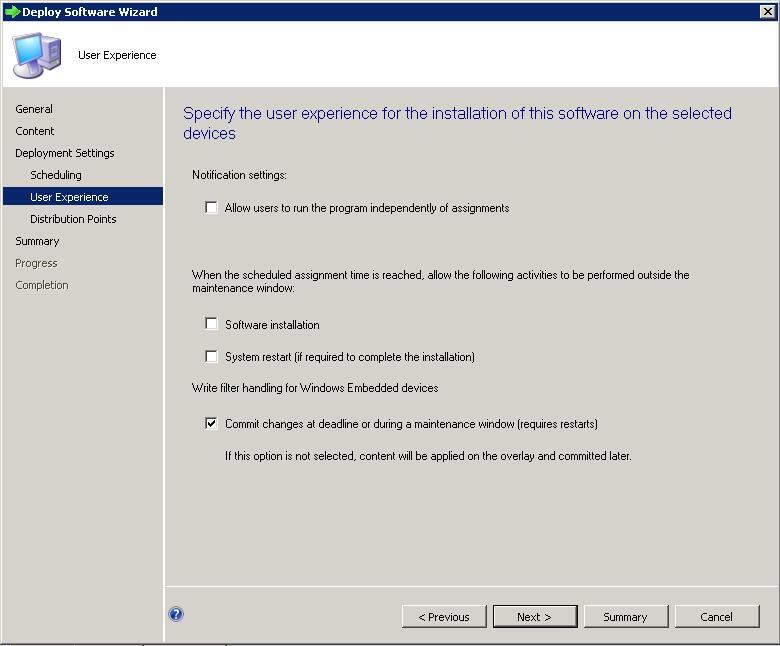 Maximum allowed run time (minutes): Specify the maximum time that the program is expected to run on the client computer and Click Next. 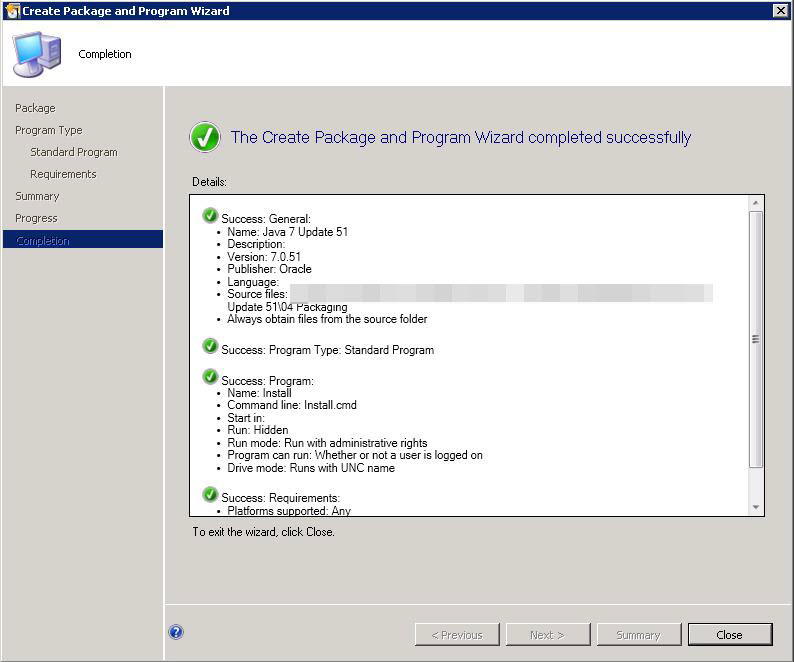 Click next and continue to To complete the Create Package and Program Wizard. 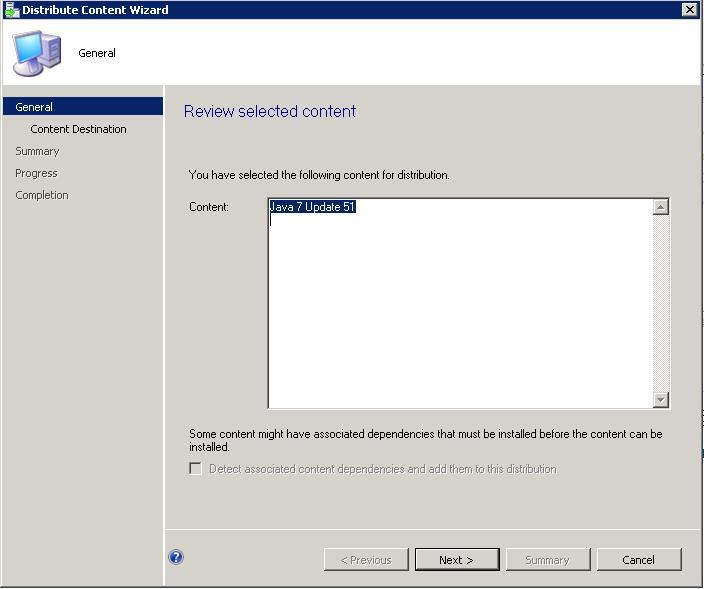 Right click on the package and select Distribute content. 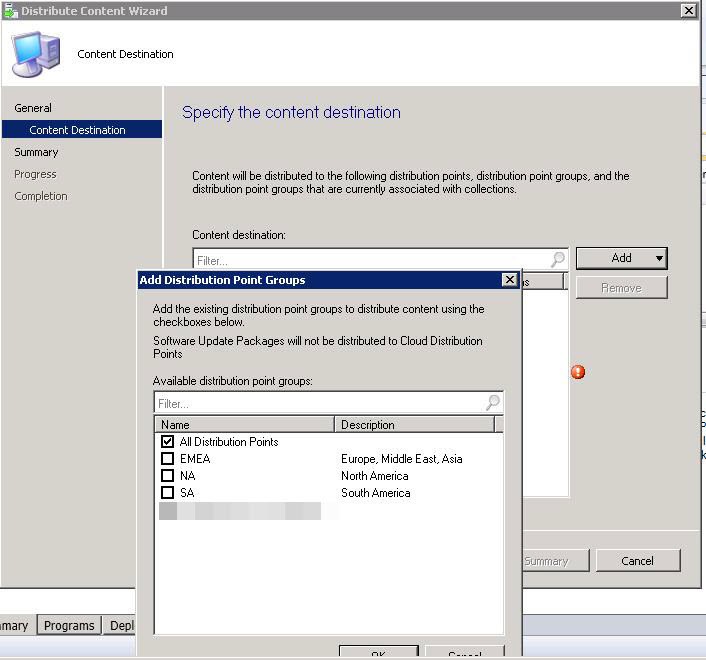 To specify the content destination, Click Add and choose All Distribution Point groups and click next to completion page. 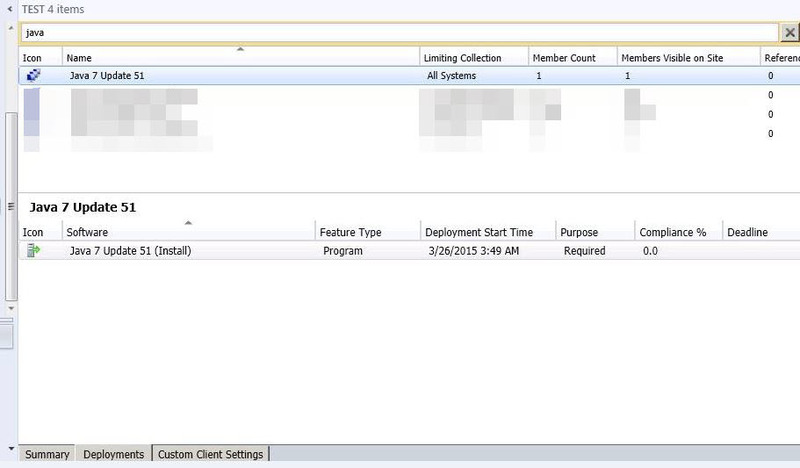 In the Configuration Manager Console window, expand Assets and Compliance. 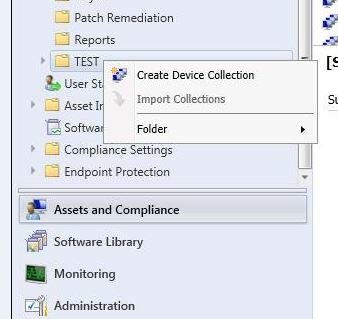 Right click on any collection folder and select Create Device collection. Specify the Name of the collection and limit the All Systems collection as per below screenshot. Click next to completion page. 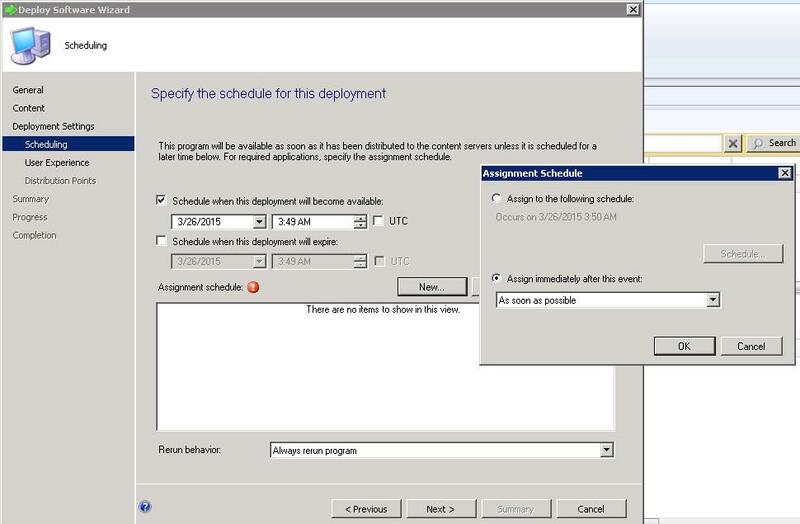 Right the program which you want to deploy and click Deploy. 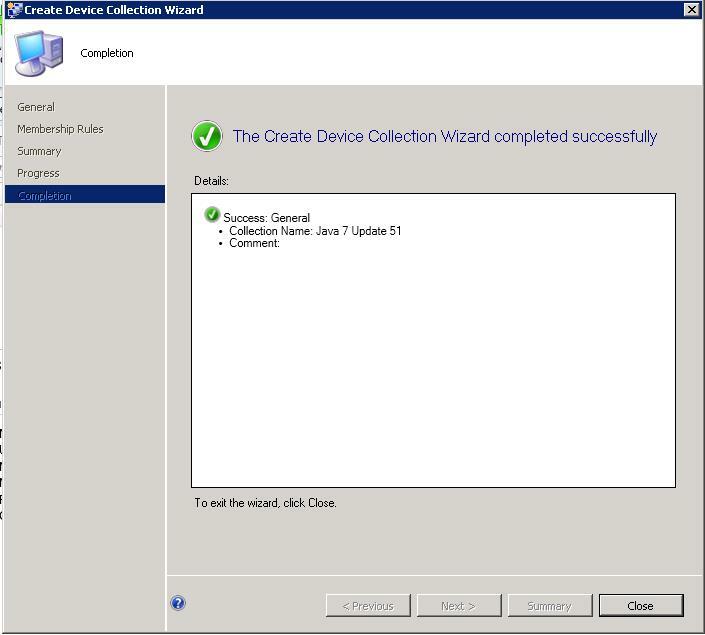 Click browse and select Java 7 update 51 collection which we have created and click ok.
On the Deployment Settings page of the Wizard, choose a purpose for this deployment. 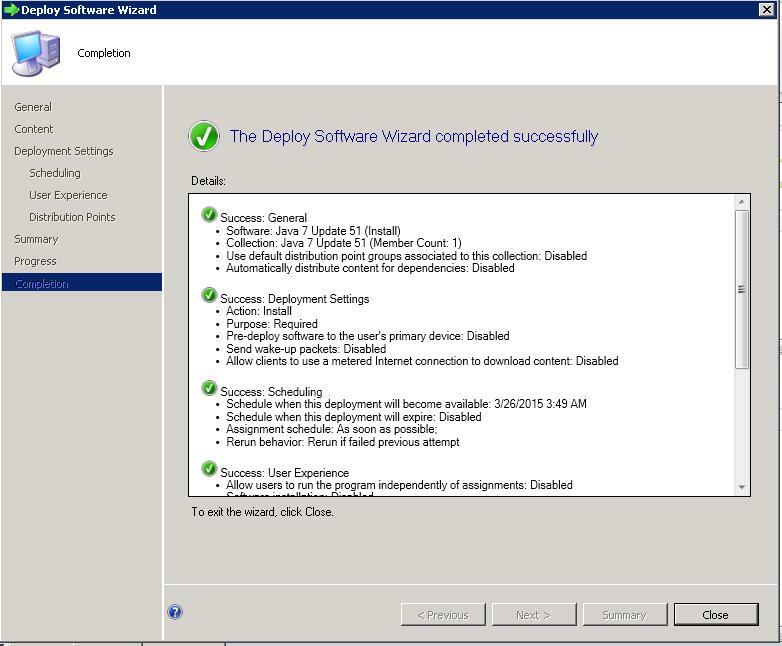 Required – The package and program is deployed automatically, according to the configured schedule. On the User Experience page of the Wizard, leave it as default. 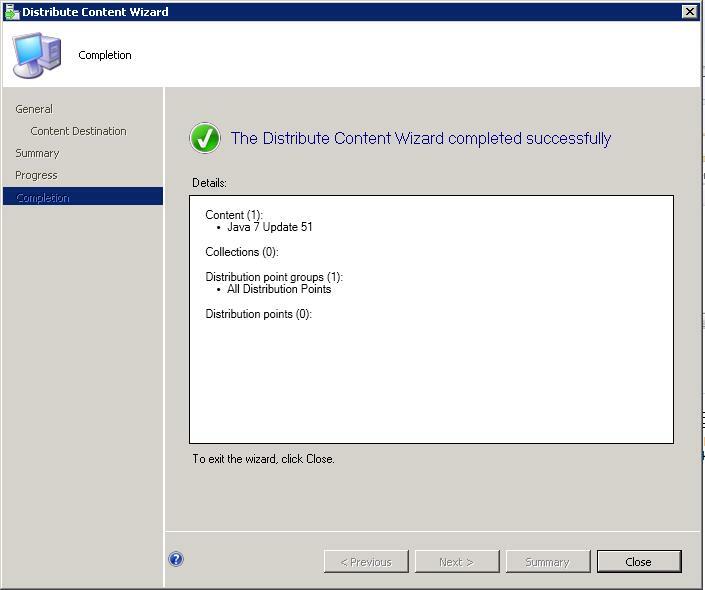 On the Distribution Points page of the Wizard, Choose Download content and from Distribution point and run locally. 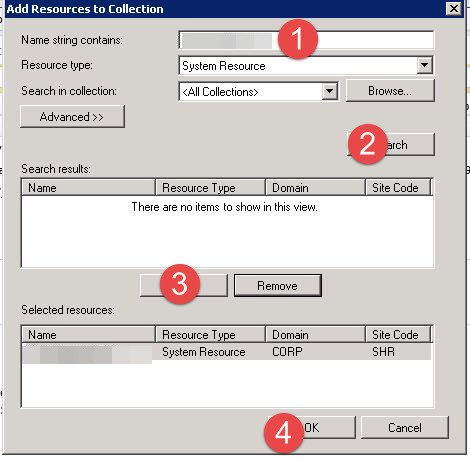 Right click on the collection and click Add Resource. Once the machine added to the collection. Deployment will initiate on the machine.